BACK TO WALLENBERG, SWEDISH ‘THE LOCAL’ FINDS RENEWED INTEREST IN THE HUMANITARIAN AFTER GERSTENFELD ARTICLE AT YNET…….. – The Tundra Tabloids……. BACK TO WALLENBERG, SWEDISH ‘THE LOCAL’ FINDS RENEWED INTEREST IN THE HUMANITARIAN AFTER GERSTENFELD ARTICLE AT YNET……..
–Beyond his historical merits, Wallenberg’s story could become increasingly important nowadays for several reasons. One is the contrast between him and many of today’s human rights activists. –A second issue of importance is to publicize the Soviet Union’s crimes against Wallenberg as well as to illustrate the dubious role of the Swedish government after the Second World War. 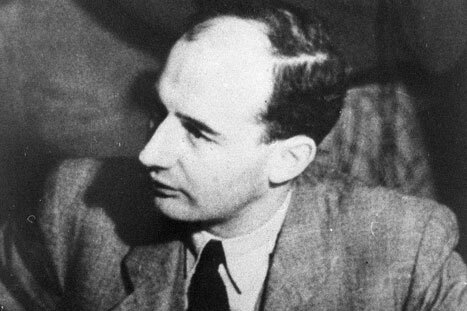 Sweden did not give Wallenberg the honor he merited. The country also barely inquired into what became of its courageous national. The Swedish government was even offered help by the Americans to find out more, but refused the offer. –There are many other negative issues in Sweden’s post-war behavior. One of them is that it became a haven for foreign Nazi war criminals, none of whom were prosecuted. –The Swedish government changed its attitude toward Raoul Wallenberg only by the turn of the century. Olle Wästberg, the coordinator of next year’s Wallenberg memorial project recently mentioned on TV that Wallenberg is less known in Sweden than in countries such as Argentina, Canada, Israel and the United States. So it’s of great interest that “The Local” has now suddenly discovered Sweden’s unusual lack of enthusiasm for Wallenberg, in a piece titled: “Raoul Wallenberg, Sweden’s not-so-favorite son” by Susanne Berger, not a Swede, but a US-based German historian. Swedish historians are still not curious enough about their country’s dark past, it takes non-Swedes like Dr.Manfred Gerstenfeld and Susanne Berger to do the hard spelunking in the archives. Previous Post Previous Post WE GOT MAIL: MOHAMED IS DA MAN……! Next Post Next Post PAKISTAN’S FIA REPORTEDLY SEEKS TO ARREST MUSHARRAF……..